Mix together on low speed until smooth. Place into a greased 13 x 9 pan. 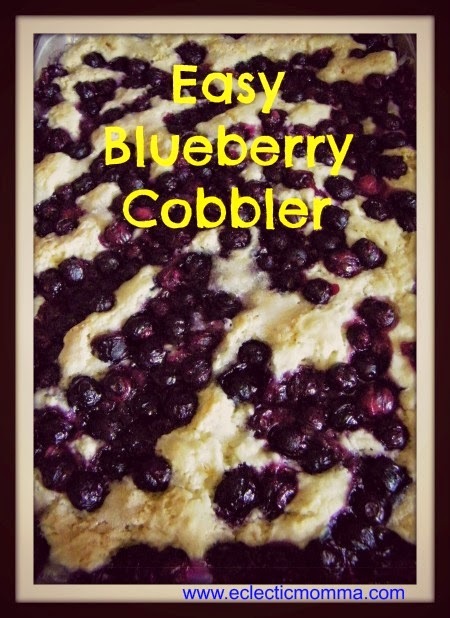 Scatter 1 pint fresh or unthawed blueberries over the batter. Sprinkle with 3/4 c. sugar. Pour 1 1/2 c. boiling hot water covering everything but do not stir or mix. Carefully place in a preheated oven at 375 degrees for 30 mins.